We got a call from the local children’s officer about a child in need and instantly fell in love with Miriam. She was living with her single father, who also has some developmental delays and he agreed that it would be best if she could be taken to a place where she would be properly cared for. After having Miriam around for a few days we realized that she had a really bad cough and took her to the hospital for treatment. The doctor listened to her chest for a few seconds and referred us for an EKG because he suspected that she had a heart condition. We got the scan and they found that she has a small hole in her heart that needs to be repaired. We will be taking her for a follow up appointment in September. Miriam loves being with us and she is such a joy to have around. She loves the opportunity to be in school and can usually be found laughing with her two best pals, Malley and Favor. Rhoda is the sweetest little 2 year old you will ever meet. 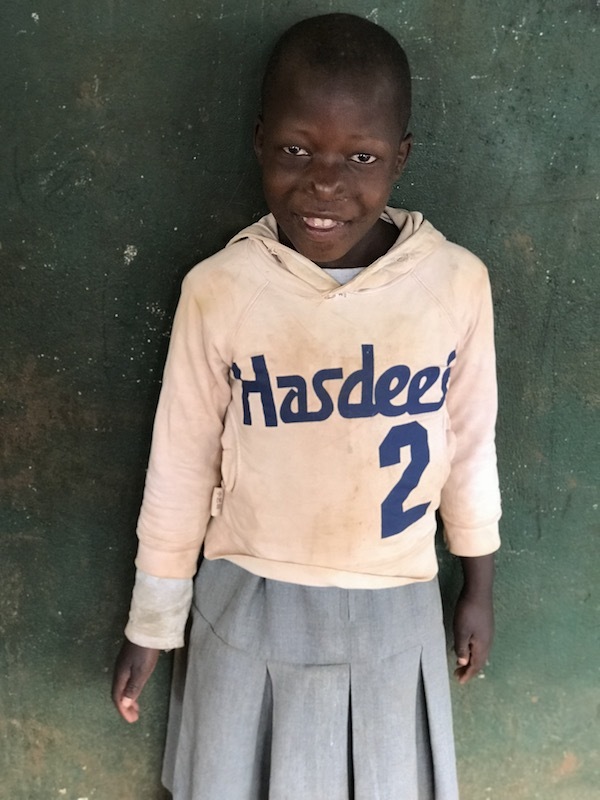 She comes from a town about an hour away from Kitale and we got a call because they were having trouble finding a placement for her. We made the drive out to see her and instantly fell in love after hearing how much she has been through at such a young age. Her mother abandoned her three separate times before they decided to find a permanent placement for her. 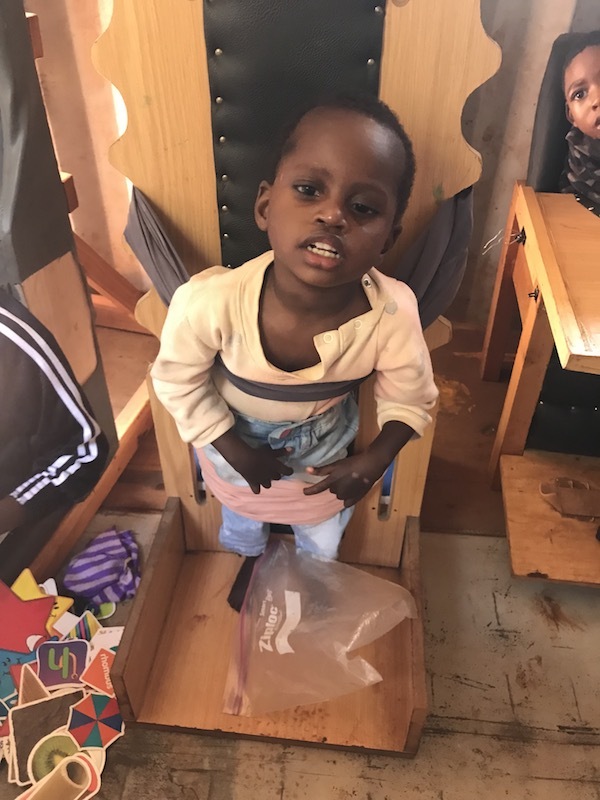 Rhoda had been temporarily placed at another rescue center, but they were not equipped to care for a child with special needs. 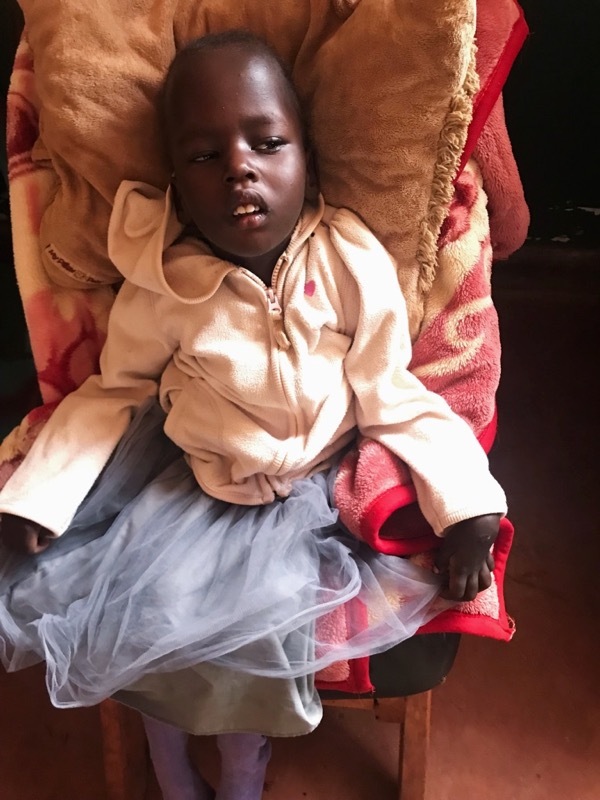 Rhoda can sit, but cannot yet walk or talk and seems to have many developmental delays. She has epilepsy, but for now it is well controlled by her medication. She is now receiving therapy and is working on being able to stand independently.